"We are the home of ancient ales and island infusion. CBBC is for other malts and urban gormandizer." Founded but Edwin and Dave in 2014, they use their passion and extensive knowledge to bring a new taste to the craft brewing community in Grand Rapids. We have everything you need from delicious handcrafted brews, to tasty cuisines like Puerto Rican inspired small plates. Be bold, try something new at City Built Brewery. Take a tour of the space as the pieces came together. 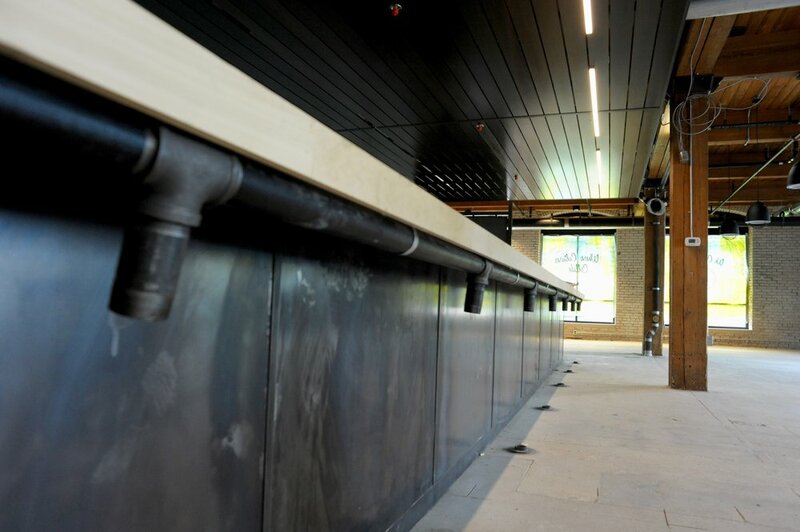 Things are moving right along at City Built, here are some new photos so that you can enjoy all the changes. - 90% of our seniors continue to higher education. - We are proud to have a 22:1 ratio, giving students the one on one attention they deserve. - Every day students have an up-close, hands-on opportunity to study a wide variety of ecosystems on our 62-acre campus. West Michigan Academy of Environmental Science strives to provide an environment that will foster creativity, promote academic achievement, and develop sound character and citizenship principles emphasizing responsibility to the environment and society, while maintaining and improving each child’s self-esteem and self-concept. "The Hardest Part is Walking Through the Door." Original owner was J. Newton Nind, Vice President of the Rex-Robinson Furniture Co. and being a leading publicist for many years was President of the Periodical Publishing Co. which printed several furniture trade journals. He was a founder of the Williams-Kimp Furniture Co. as well as a member of St. Marks Cathedral and was the first president of the GR Advertising Club and a past president of the GR Rehabilitation League. In 1971 the home was bought by the Blackwell family. July of 2009 there was a major fire that appears to have been caused by an electrical issue. We are following the progress of the renovation on this beautiful home located in Grand Rapids Michigan. 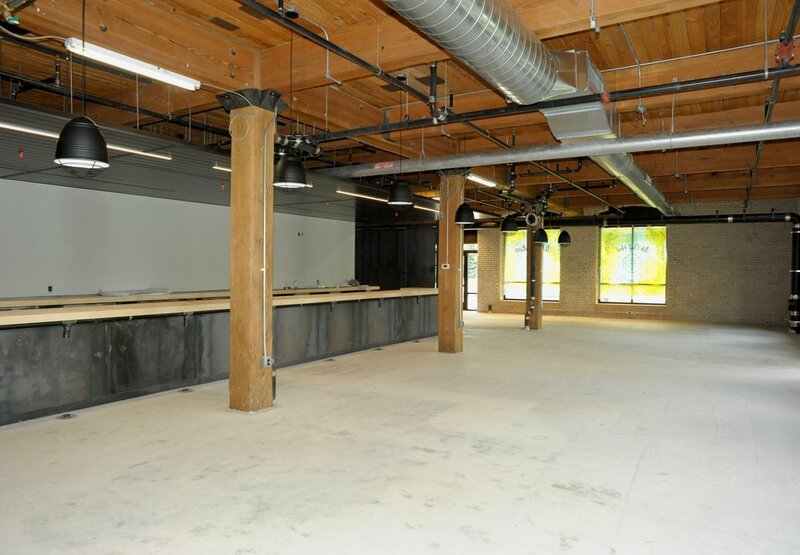 Check back for added photos and virtual tours of the changes. hey , I want to stay here! This makes a gorgeous vacation (or staycation or workcation) in the master bedroom for one person or a few, or can accommodate a family or group between the three bedrooms, with a fourth mud room that leads to the patio that can have a blow-up queen bed, as well as the living room's comfy queen fold-out futon and couch. No place like it in New York! ...whole house and patio yard! We do have a very strict rule, though; THIS HOUSE IS NOT MEANT FOR PARTIES. We covet our home and neighbors and cannot allow any guest hosting beyond the guests on the reservation. Please do feel at home, as long as this is understood! Cheers! This house is right on an East-West L train stop (Graham), meaning it's faster and more convenient to most trendy parts of Manhattan than the rest of actual Manhattan. (It's eight minutes to Union Square, for instance, meaning it's maybe thirty minutes max to even the Upper East Side.) It's also three blocks from the North-South G train (Metropolitan), meaning it's easy peasy to all the rest of Brooklyn, too. It's as well a few blocks from two different exits off the 278 Highway (BQE) by car, with usually plenty of street parking, just like a small town. Wild. This large "cabin in the woods" is magically in the center of the trendiest neighborhood in the world. It has an open kitchen, piano, record player, library, skylight ceiling living room, balcony office, gorgeous bedrooms with skylights, bathrooms with hot tub, mud room, and gigantic patio under a willow tree. 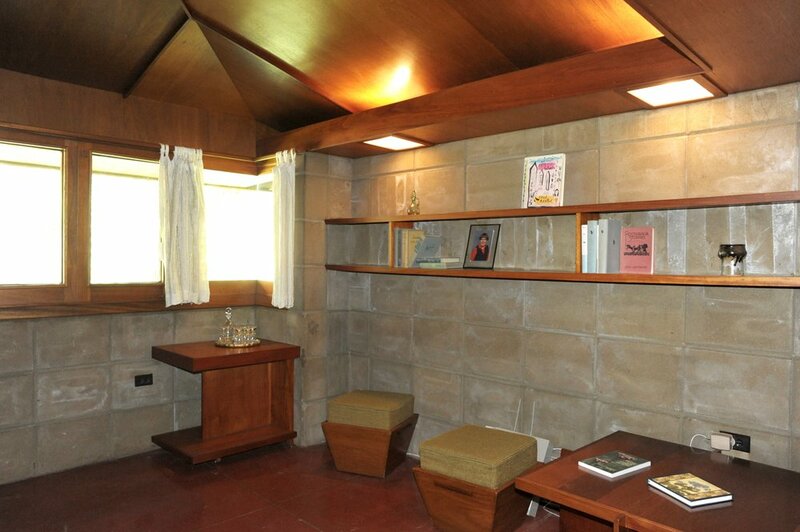 This Frank Lloyd Wright house is listed on the National Register of Historic Places. It seamlessly blends into its natural surroundings, like many of his designs. 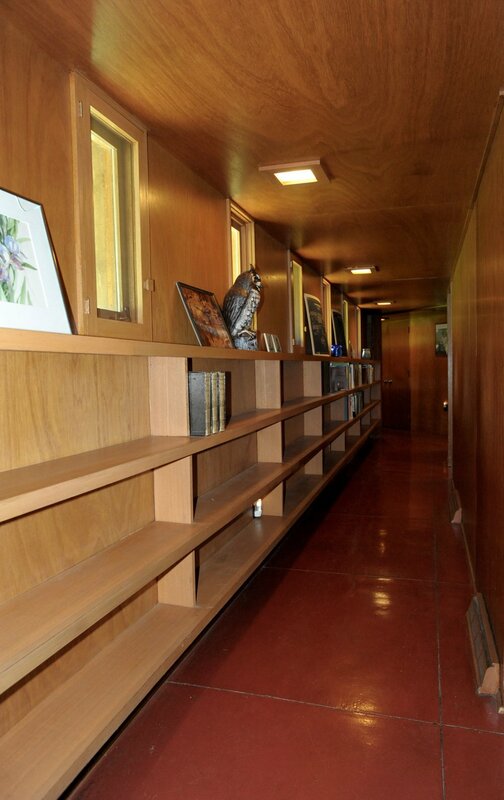 It's been in the original family since it was built and retains all of its natural characteristics: concrete floors, skylights, Honduran mahogany, and built-in bookshelves and desks. The house is just over 2,400 square feet, with three bedrooms, and two full baths. 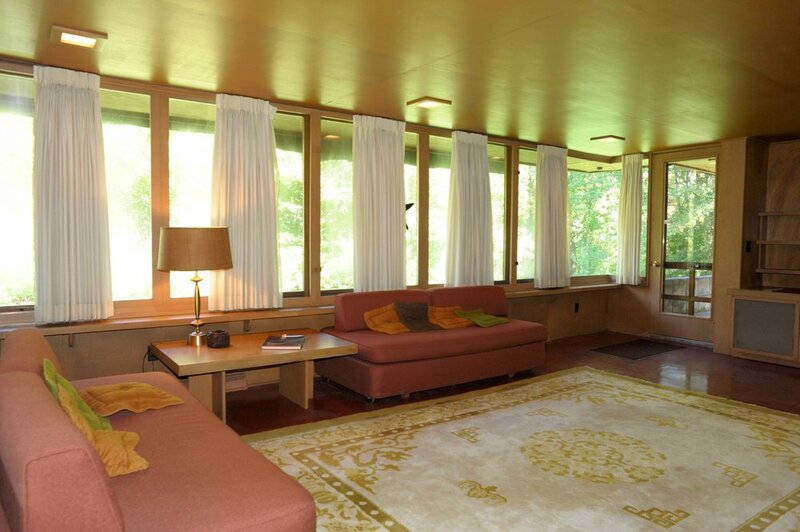 Here’s a look inside this rare midcentury gem. The Weisblats moved into their house in 1951. It was the first Acres home completed and is joined by the Eppstein and Pratt homes in the same neighborhood, it was designed using Wright’s “in-line” plan. The workspace, living, and dining areas are again nearer to the street toward the southern end of the plan, while the original bedrooms and baths are lined up along a gallery running north. 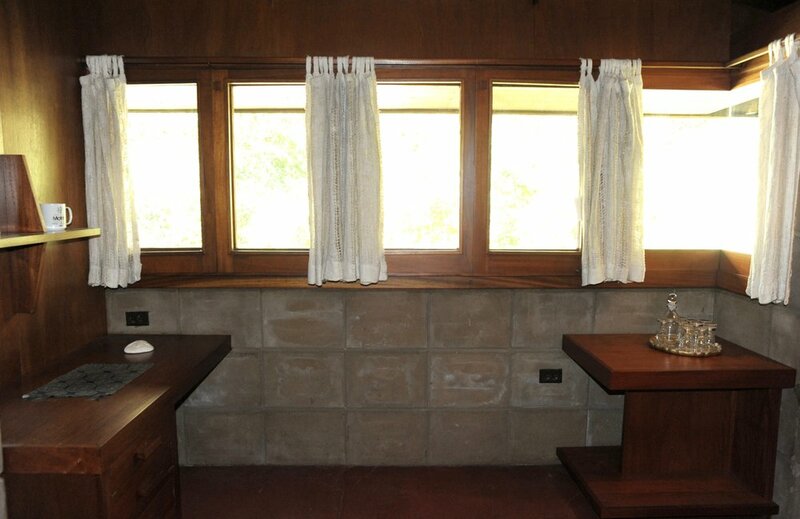 The Weisblats participated in the construction of their home, the crew made all the concrete blocks by hand on site yet Wright did not send over any instructions so there were many evenings spent figuring out how to make the blocks. Inside, the only major room without windows is the workspace. A door to the small, walled yard at the southeast corner of the house allows some light inside, but the primary source of light in the workspace is a skylight that was part of Wright’s original plan. In 1961, an addition, designed by John Howe and William Wesley Peters, was made to the Weisblat House, adding a long gallery, a utility room, a full bath, another study, a green house, and a potting shed. Though it differs somewhat in construction method, “it seems a natural extension of the original house.” A fourteen-by-twenty-foot pond was also dug at this time. Other than the 1961 addition, no other changes were made to the Weisblat house, and all interior and exterior surfaces retain their originally specified finishes. Located in a subdivision in Galesburg, MI, just outside Kalamazoo, stands four Usonian homes built by Frank Lloyd Wright. One of those homes, the David and Christine Weisblat House, is for sale for the first time. The price? $510,000. The subdivision known as The Acres, was created in 1949 by a group of scientists who worked at Upjohn in Kalamazoo (there’s also another Wright subdivision located right in Kalamazoo, near Western Michigan University). The plots are circular, with trails and wooded areas throughout.